Dr. Kuang-Yu Jen is a pathologist from Sacramento, California. He is a board-certified practitioner in anatomic pathology and his sub-specialties are the renal pathology, transplantation immunology, and molecular genetics. Dr. Kuang-Yu Jen graduated from the Perelman University of Pennsylvania. 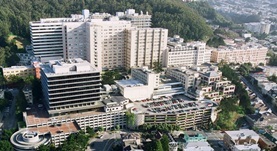 Afterward, he completed a residency and a chief residency stage in anatomic pathology at the University of California, San Francisco. He completed two fellowship stages in renal pathology and surgical and transplant pathology at the same institution, UCSF, followed by a post-doctoral fellowship in cancer genetics. Dr. Jen has an extensive research experience; he published multiple studies in collaboration with other specialists. His research tackled some of the following topics: AA amyloidosis patients, malignant pleural mesotheliomas, radiation-induced tumor development, Kras-driven lung cancer, skin tumor progression, lung adenocarcinomas, renal allograft biopsies. Dr. Kuang-Yu Jen is currently affiliated with the University of California, Davis Medical Center. Dr. Kuang-Yu Jen has contributed to 3 publications. Characteristics of AA amyloidosis patients in San Francisco. Lejmi, H.,Jen, K. Y.,Olson, J. L.,James, S. H.,Sam, R.,Lejmi, H.,Jen, K. Y.,Olson, J. L.,James, S. H.,Sam, R.; Nephrology (Carlton). 2015 Sep 16. Whole exome and targeted deep sequencing identify genome-wide allelic loss and frequent SETDB1 mutations in malignant pleural mesotheliomas. Kang HC, Kim HK, Lee S, Mendez P, Kim JW, Woodard G, Yoon JH, Jen KY, Fang LT, Jones K, Jablons DM, Kim IJ; Oncotarget. 2016 Feb 16. Evolution of metastasis revealed by mutational landscapes of chemically induced skin cancers. McCreery, M. Q.,Halliwill, K. D.,Chin, D.,Delrosario, R.,Hirst, G.,Vuong, P.,Jen, K. Y.,Hewinson, J.,Adams, D. J.,Balmain, A.; Nat. Med.. 2015 Nov 03.